LAURENS DISTRICT CHAPTER SCGS, INC.
South Carolina was divided into three coastal counties in 1682, Berkeley centered around Charleston form the Stono River to Seewee Creek to the north. Craven count was north of Berkely and Colleton was to the south, extended to the Combahee River. Granville was later added between the Combahee and Savannah rivers. In 1769 the four counties were divided into districts, including, Charleston District, Georgetown District, Orangeburg District, Camden District, Cheraws District and Ninety Six District. From 1769 to 1784 Laurens County was part of Ninety Six District, In 1785 Ninety Six District was divided into the counties of Spartanburg, Union, Laurens, Newberry, Abbeville and Edgefield, In 1791, part of Ninety Six District was divided into Washington District, which included current Oconee, Pickens and Anderson Counties and Pinckney District which included current Spartanburg, Union and Cherokee Counties. In 1800 the Ninety Six District vanished and the counties that were part of it became their own districts, thus Laurens County was now Laurens District. It wasn't until the State Constitution of 1868 that the districts were given the "official" designation of "county". Many of the original deeds and court filings for Laurens county can be found in Charleston. 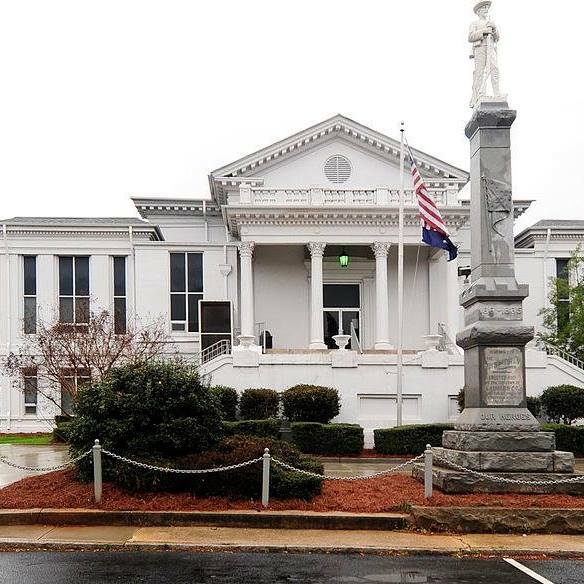 As Laurens was part of the original "Berkeley", deeds can be found for many upstate counties as the property being located in "Berkeley", even though the actual property would be in the upcountry for the original districts extended from the coast to the Blue Ridge Mountains.